The premise of the game is simple. 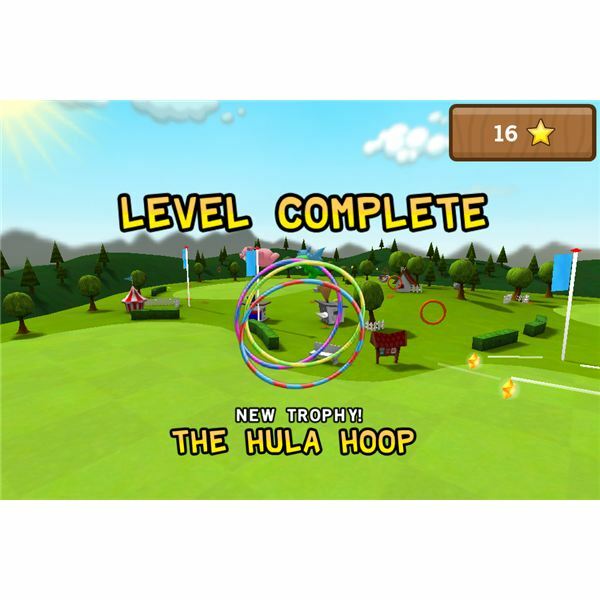 At the start of a game, you simply launch the disc and guide its flight, avoiding various obstacles, until it reaches the goal at the end of the track and goes through the finish loop. Sounds easy enough? Well not really because along the way you need to collect stars. Every star you collect increases the speed of the Frisbee disc. Failure to collect an ample number of stars will slow the disc until it reaches the ground. If that's the case, it's game over for you. These stars are strategically placed along the route that the disc must travel through in each of the game's levels. Some of these stars are placed in such a way that it looks impossible to get them. That's not always the case. Sometimes you need to maneuver the disc (by tilting your iPhone) to guide it through the stars and successfully collect them. The game has two basic controls. You can either use tilt or touch to guide the discs towards a course. Speaking of courses, the game offers variety – enough to keep you interested in completing the game so you can successfully open up all the locked courses. The stars you've collected are converted into coins. You use these coins to unlock more race tracks which are typically even crazier than the previous ones. You are awarded a coin for every star you've collected as you go through a level. Along the way, you'll earn various awards which are rather funny and should not be taken seriously. These awards are included just for added fun kicks. There are several trophies and achievements that you'll get as you go deeper into the game. 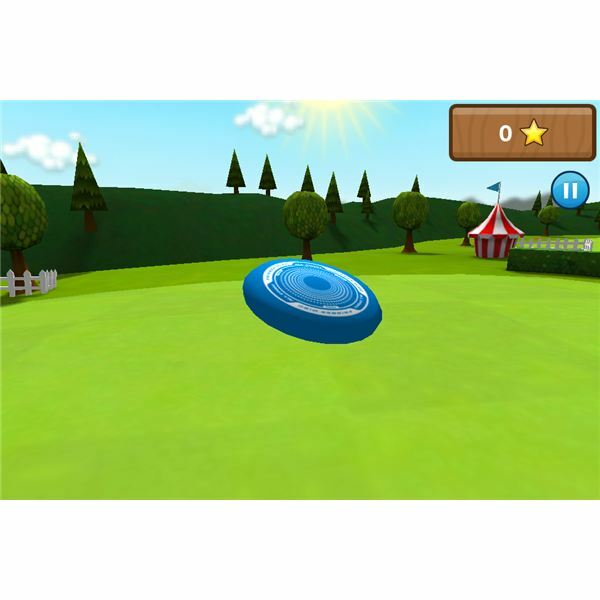 The game also gives you the chance to collect various types of Frisbee discs. These vary from the Classic Wham-O Frisbee to other brand new discs which you can purchase from the Frisbee Forever shop using the coins you've earned. You can also unlock unopened courses and new discs, the easier but more expensive way – via in-app purchase. This is useful if you find the game a bit frustrating (which I sometimes felt). For a free game, I can't help but endorse Frisbee Forever. It has enough ingredients to more than make up a great iPhone game to play. Every aspect of this game is well thought out and contributes to the quality of the overall product. 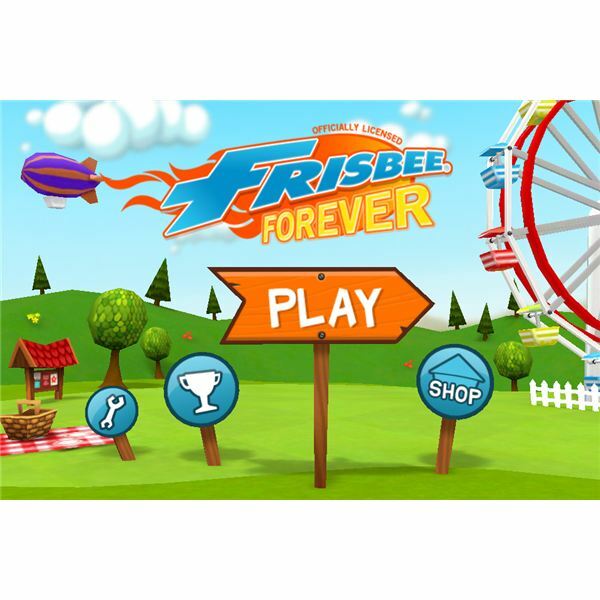 The controls, the graphics, the game levels, the game physics and the sheer fun of being able to play Frisbee without sweating and getting tired physically, make this game a must-play.